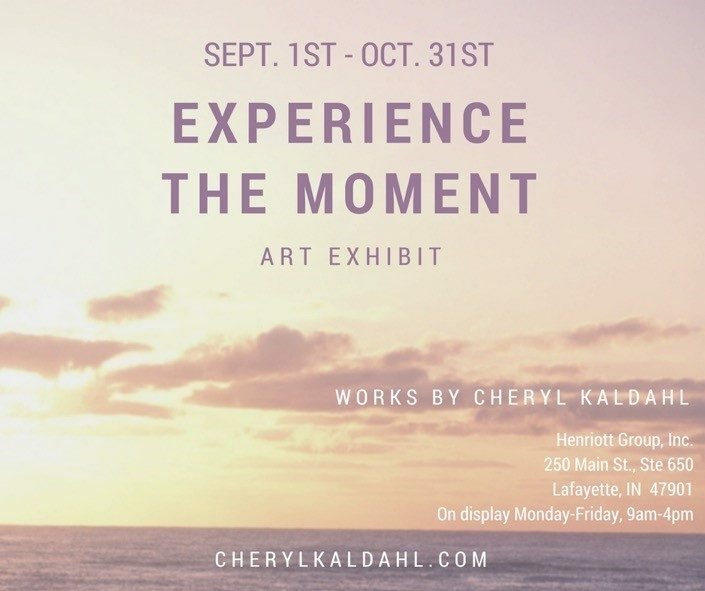 Her exhibit, Experience the Moment, can be seen at our office from September 1st - October 31st. Cheryl Kaldahl creates art for the mind, body and spirit. Each painting is created for specific purposes to assist and enhance your life as well as for just shear enjoyment. Her paintings also include a music CD of the colors of the painting scientifically translated into musical notes and tones for an accurate and unique musical interpretation of the painting. For more information on Cheryl and her art, visit her at cherylkaldahl.com or her Facebook page at https://www.facebook.com/kaldahlstudios.